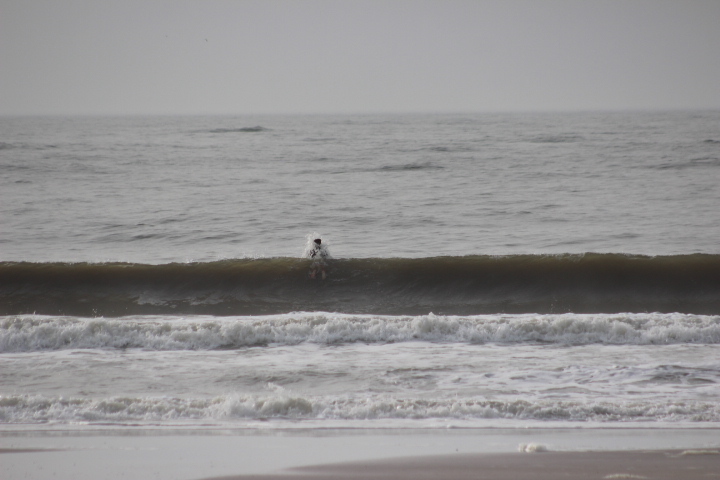 Time of Report: 8:30 a.m.
Good morning, this is Luke with your Ocean Surf Shop surf report and forecast for Sunday, April 14 at 8:00 a.m.
New The new Stewart Ripster long-boards are in the shop, so come check them out. We also have spring-suits and jackets, so get out of the full-suit and start rippppping. 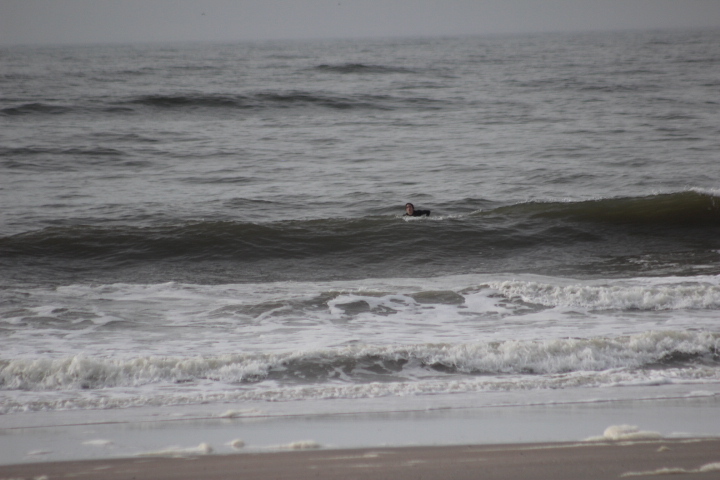 Surf at the Washout is knee to waist high and rebuilding out of the south throughout the day really choppy and unorganized. 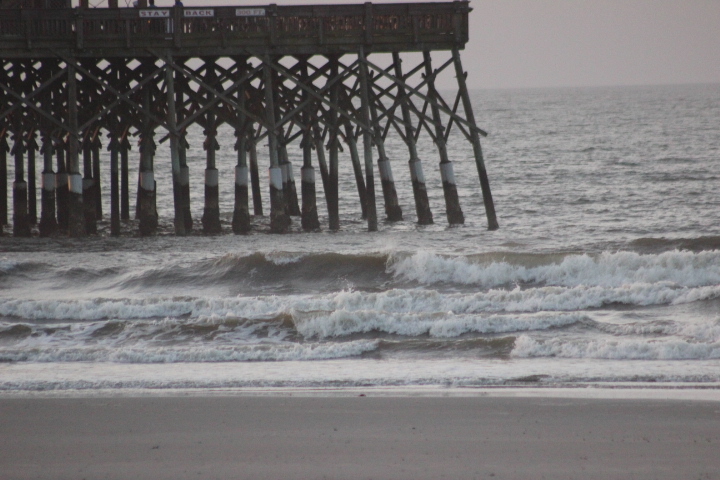 Winds are blowing onshore pretty good 15+mph and these winds should pickup today 20+mph. 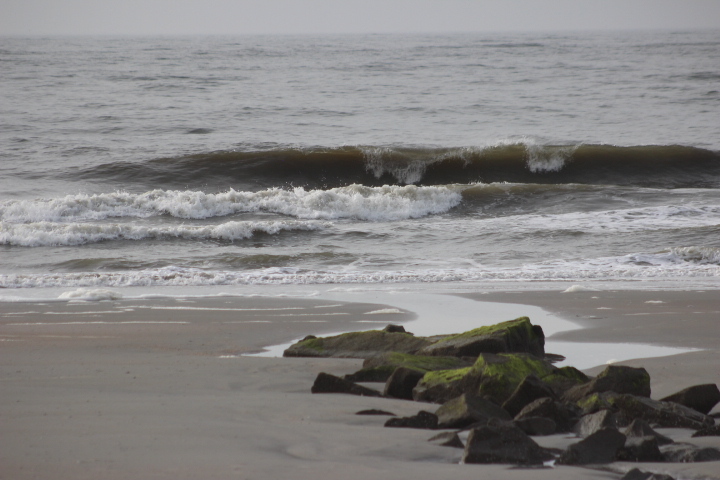 Low tide is at 10:16 a.m., and high tide is at 4:33 p.m. 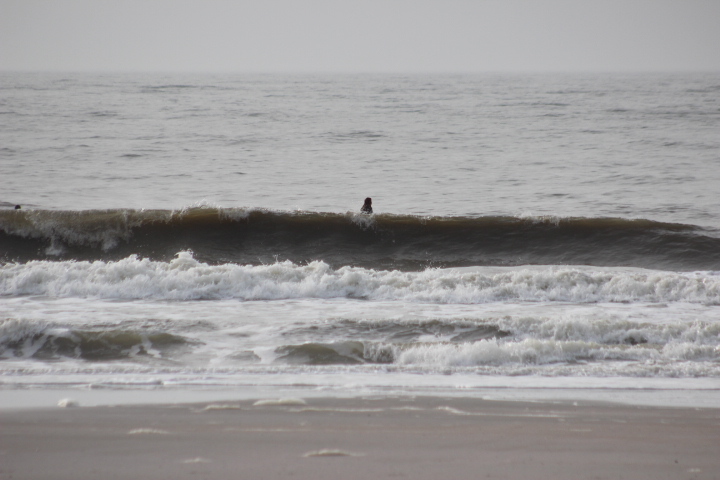 The Edisto buoy is reading 5.2 ft at 8 seconds in a medium period easterly swell. 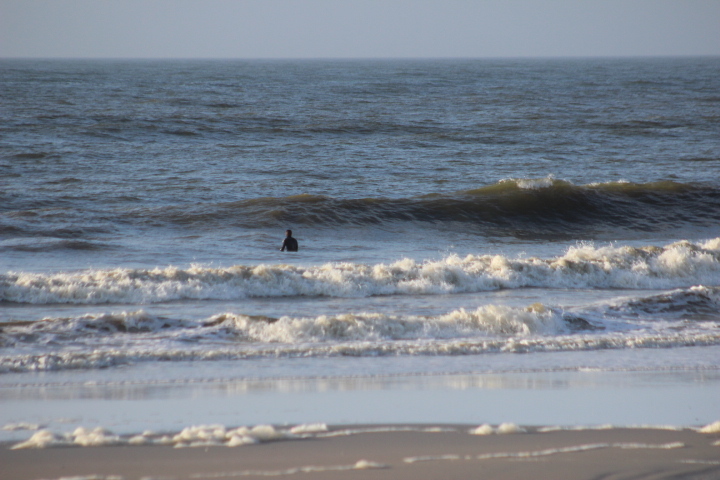 Surf has dropped off a bit overnight into the waist high range. 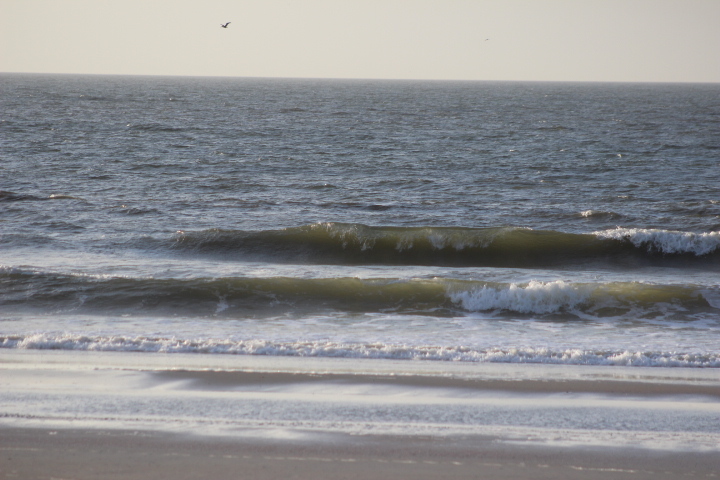 South swell rebuilds through today setting up for a fun Monday to start the work week. 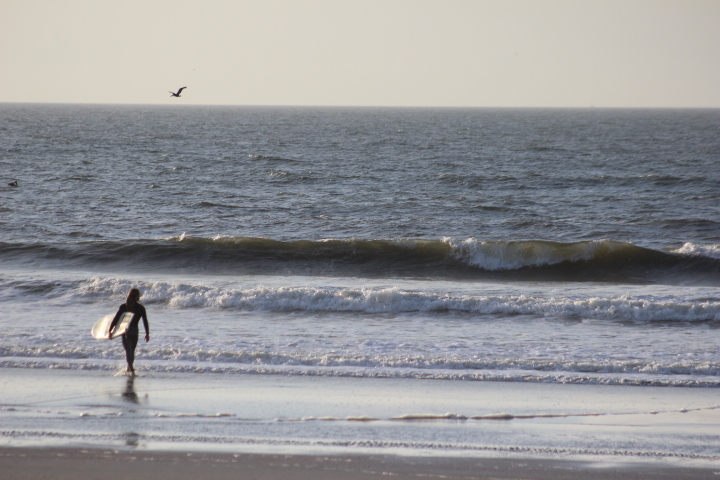 That swell fades Tuesday into mid-week. 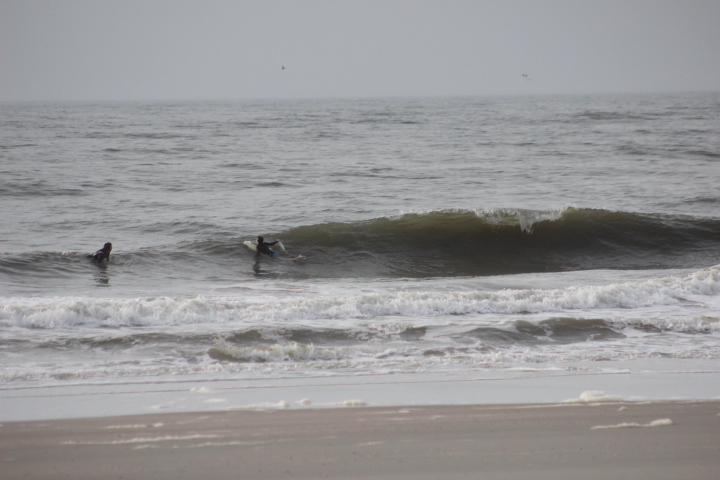 Look for a cold front to swing through late week again resulting in another decent south swell. 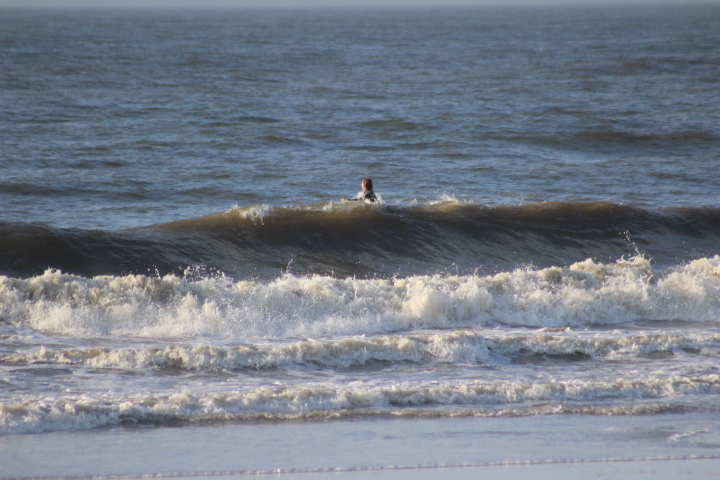 Waves are in the forecast and seeing lots of people in boardshorts! It’s 73* with partly cloudy skies. Look for a high of 79* today with a possible thunderstorm later this afternoon. Water temperature is around 68*. People are in boardshorts and comfortable lately. Thanks for checking in with Ocean Surf Shop. 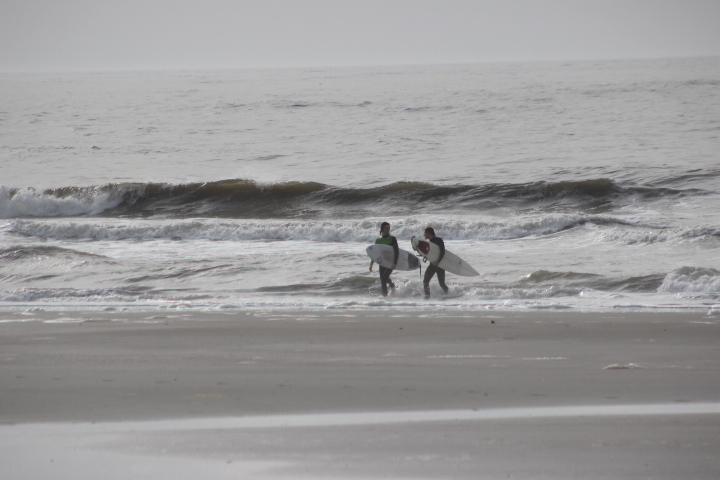 Surf Conditions: Bumpy, clean. Drained at low tide. 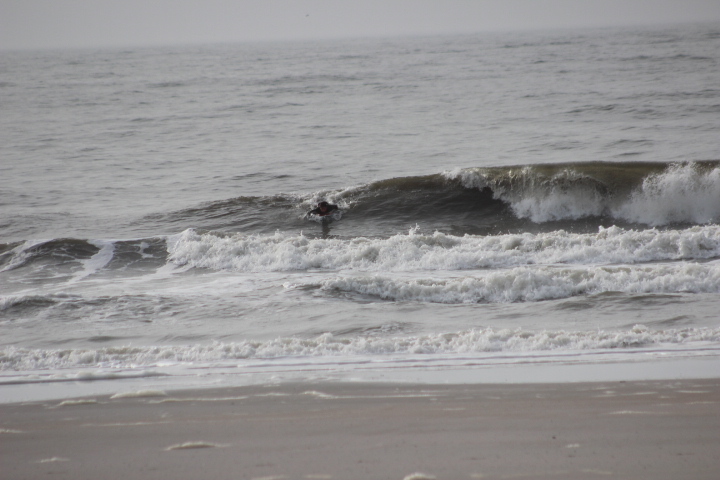 Choppy later today. 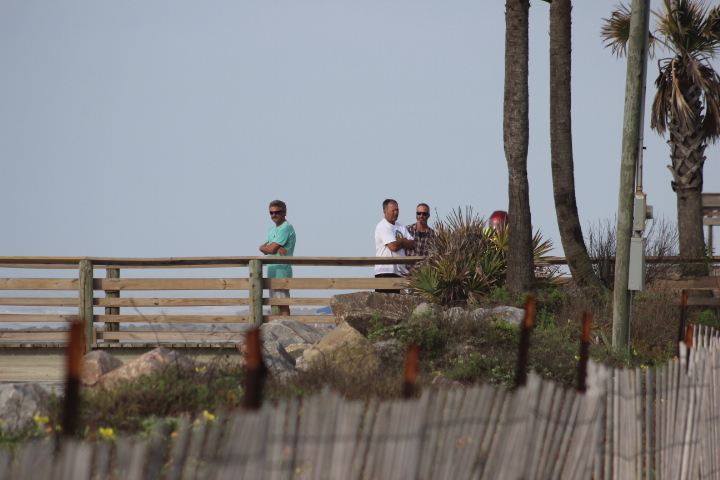 Parking: Cars at pier, Washout and key surf-spots. 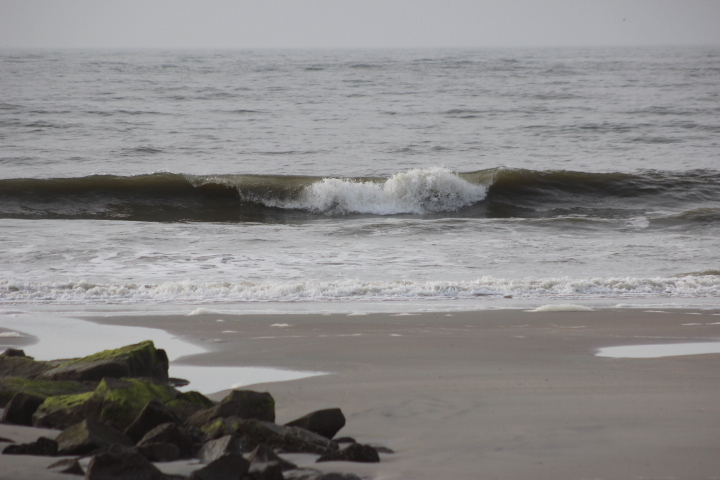 Good morning, this is Bates with your Ocean Surf Shop surf report and forecast for Saturday, April 13 at 8:30 a.m.
Surf at the Washout is waist-to-stomach high and fairly clean with larger set and a light south-east wind at 5 knots. Tide is coming in, so it should pick up some. It looks fun, but it’s a bit drained out at the morning’s low tide. 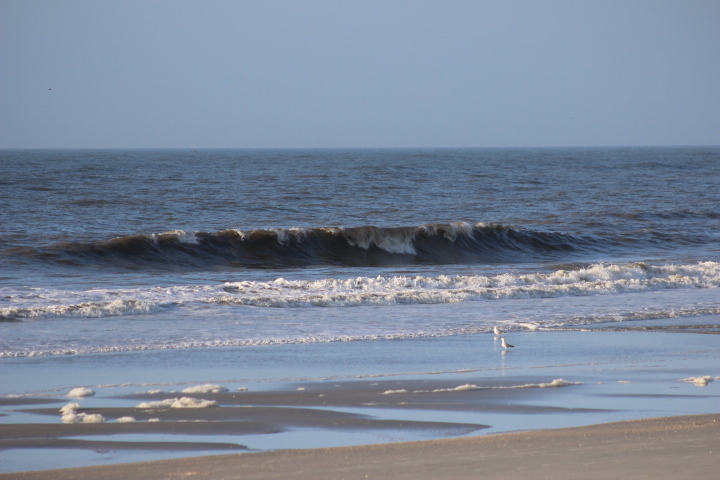 Look for south-east winds at 10 to 15 knots this afternoon, adding some chop and bump to the surf this afternoon. 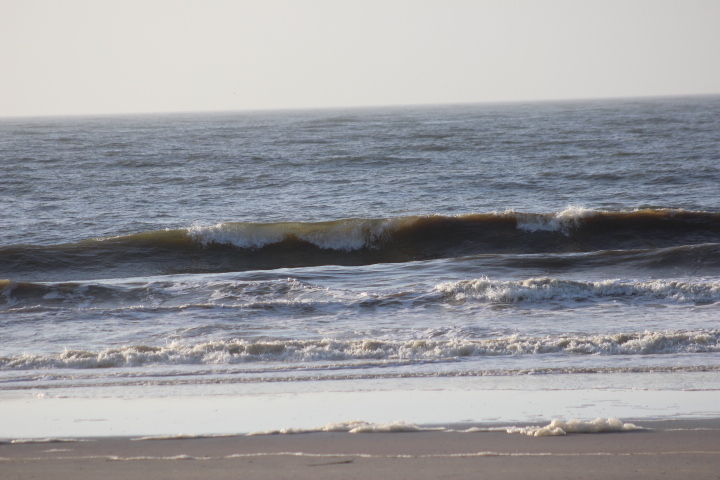 Low tide is at 9:06 a.m., and high tide is at 3:13 p.m. The next low tide is at 9:20 p.m. 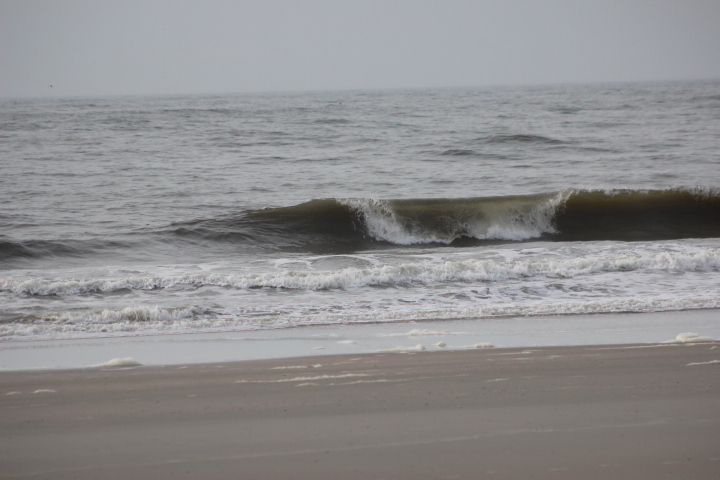 The Edisto buoy is reading 6.6 ft at 8 seconds in a medium period easterly swell with a south-east wind swell 3 ft. at 5 seconds. 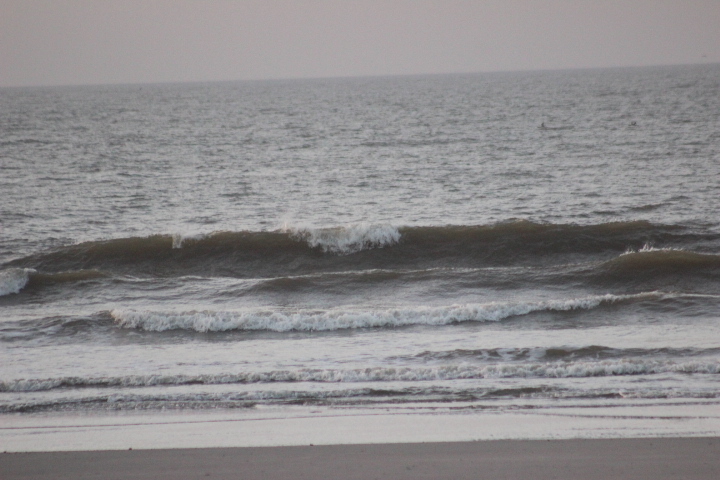 Surf looks fun this morning, just needs some more tide. 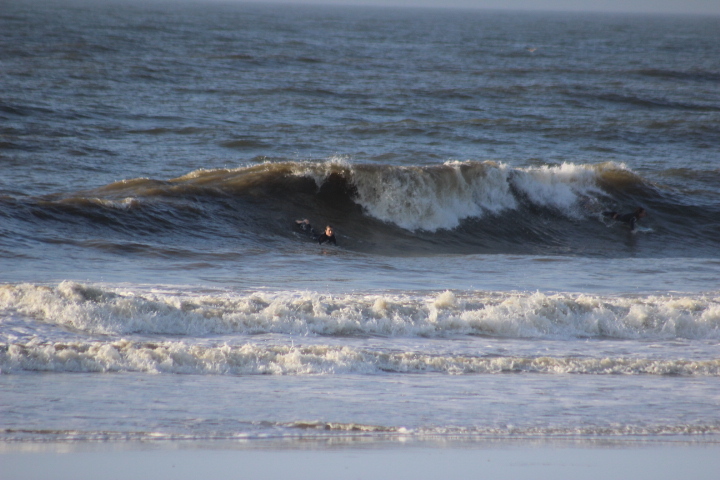 South swell continues with mostly choppy conditions through Monday, when surf should rapidly drop and clean up some after a cold front passage. 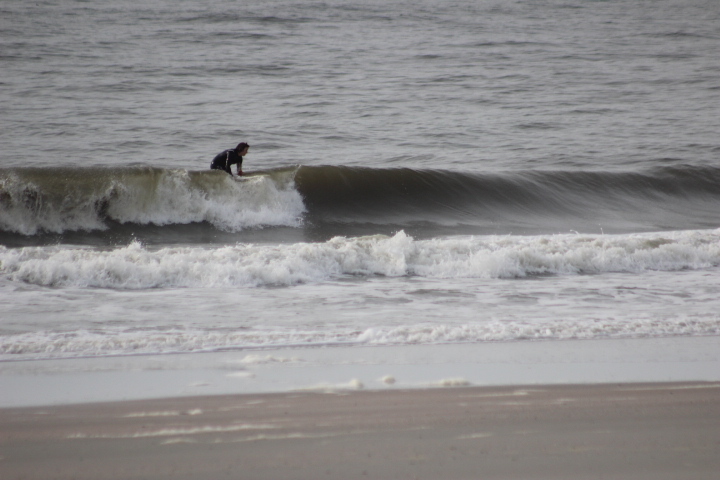 Go surf over the next few days if you can. It’s 71* with clouds this morning. 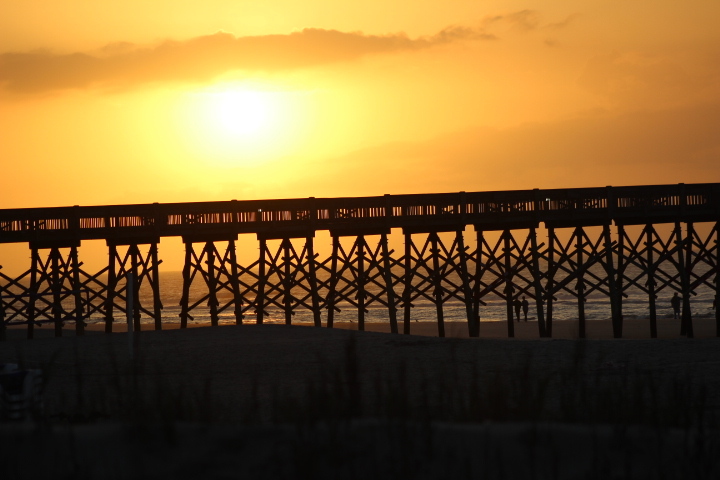 Look for a high of 79* today with clouds and a slight chance of a shower. Water temperature is around 65*. You can get away with a short-sleeved full-suit or spring suit if you don’t want to wear a full. 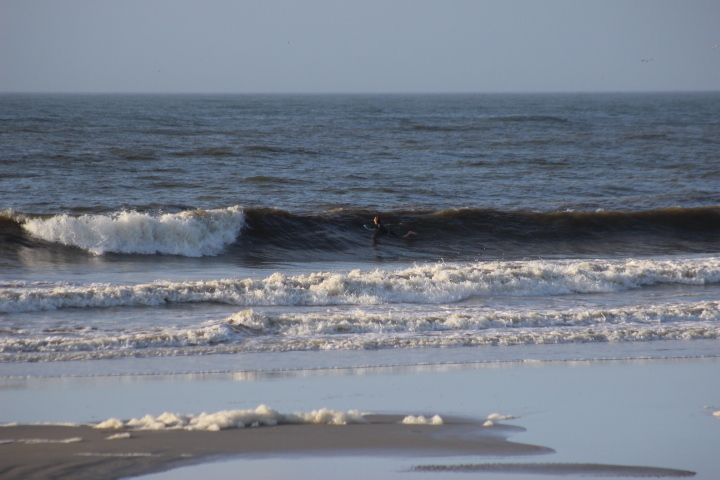 Good morning, this is Luke with your Ocean Surf Shop surf report and forecast for Friday, April 12 at 8:00 a.m.
Surf at the Washout is waist high with a plus set. 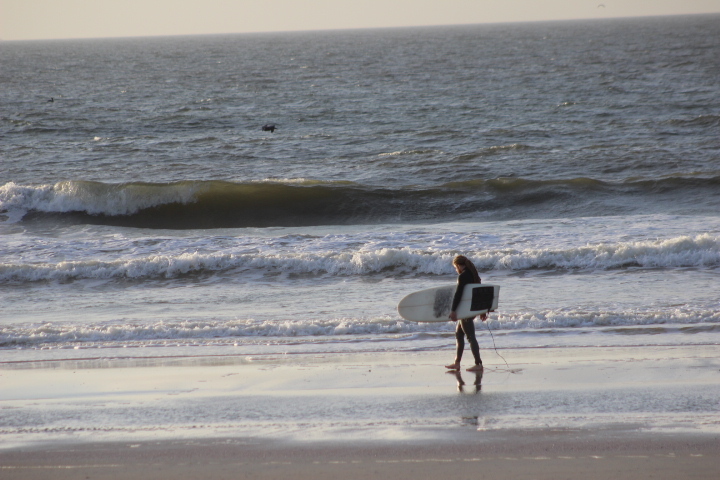 Should have fun surf throughout the day. 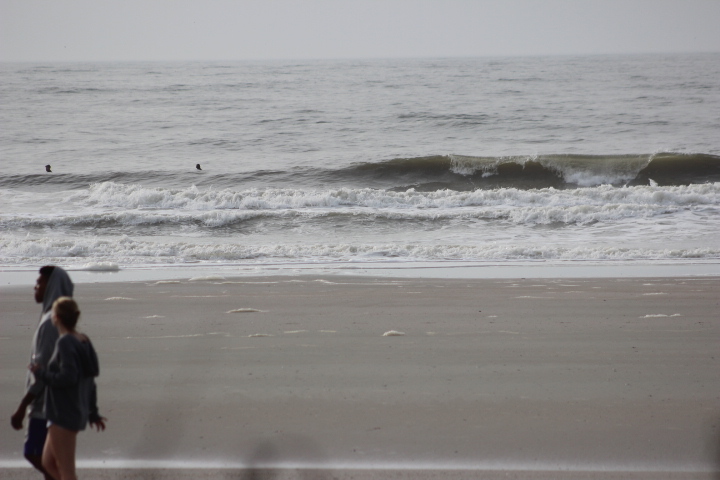 Winds are light to moderate south-east putting some texture to the surf. 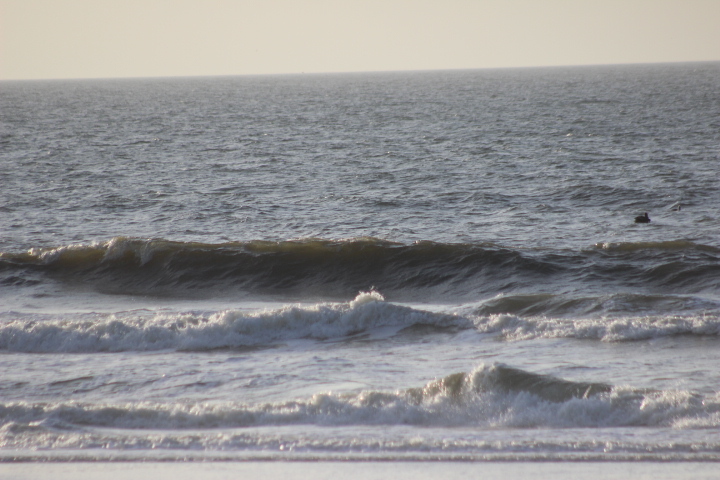 We expect increasing south-east winds today at 15mph+ this afternoon, making the surf more choppy later in the day. 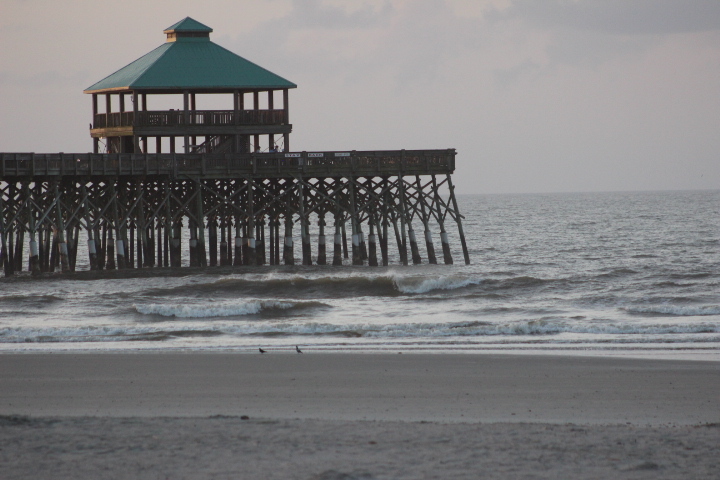 Tide is dead low as we report, and high tide will be at 2:12 p.m. Low tide will be at 8:19 p.m. 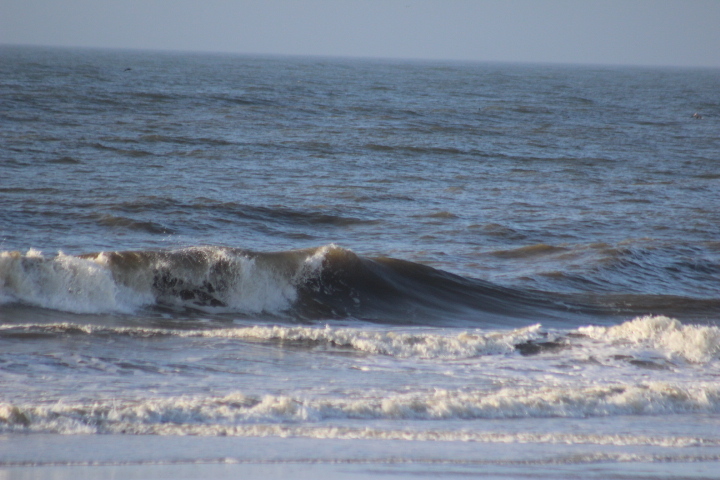 The Edisto buoy is reading 7.2 ft at 6 seconds in a short period SE wind-swell. 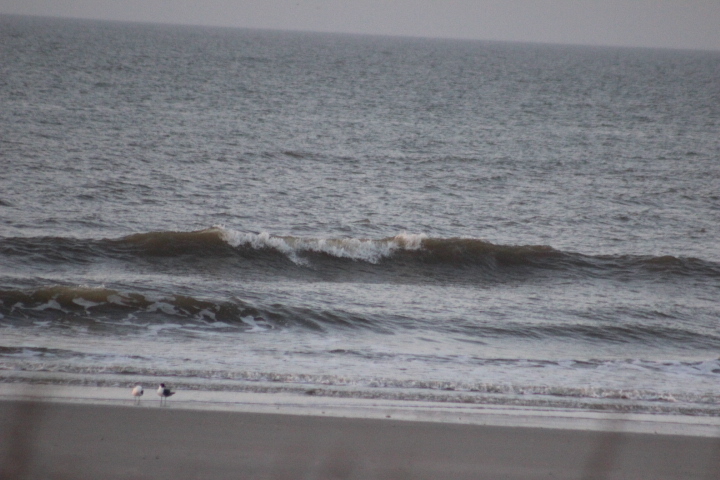 Surf looks decent this morning running waist high. 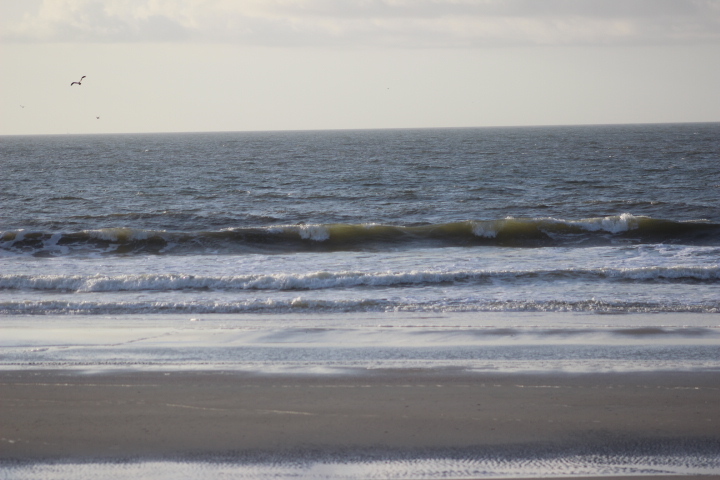 Mid-morning incoming tide likely to see chest high sets. 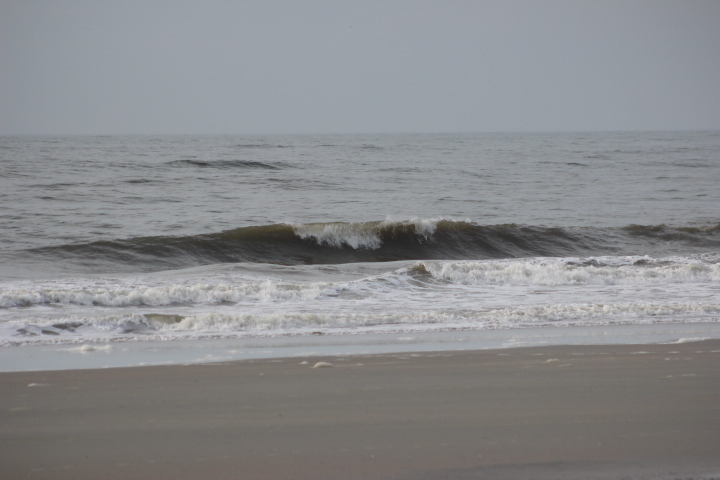 This south swell should continue into Saturday with cleaner conditions. 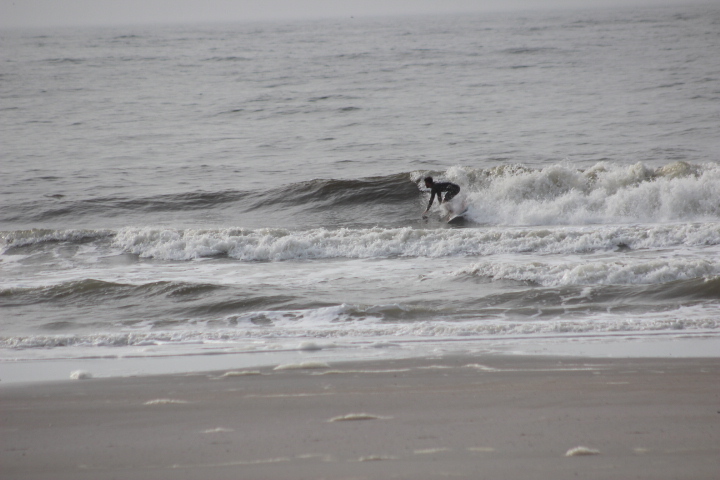 South swell fades Sunday but still plenty ride-able on the high volume stick. Looking ahead, low pressure affects our marine area again on Monday of next week, so there is plenty of south wind swell in the forecast Friday through Monday. It’s 70* with sunny skies this morning. Look for a high of 78* today with sun behind clouds. Water temperature is around 63*. 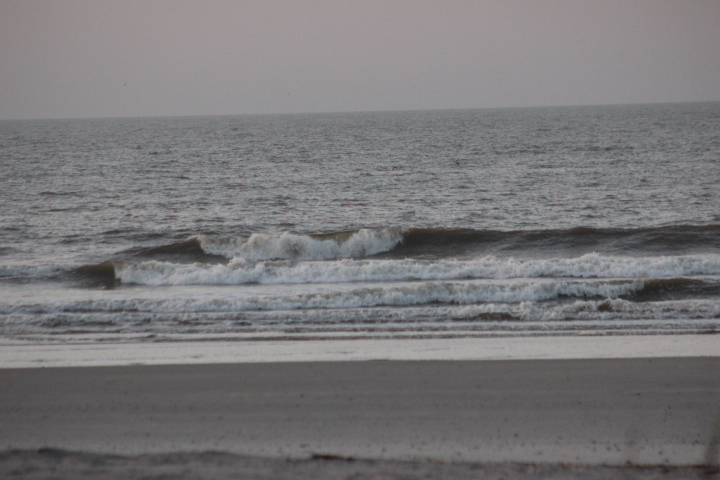 Sunrise is around 6:57 a.m. and sunset will be at 7:44 p.m.
Good morning, this is Luke with your Ocean Surf Shop surf report and forecast for Thursday, April 11 at 8:00 a.m.
New The new Stewart Ripster long-boards are in the shop, so come check them out. We also have spring-suits and jackets, so get out of the full-suit and start ripping. 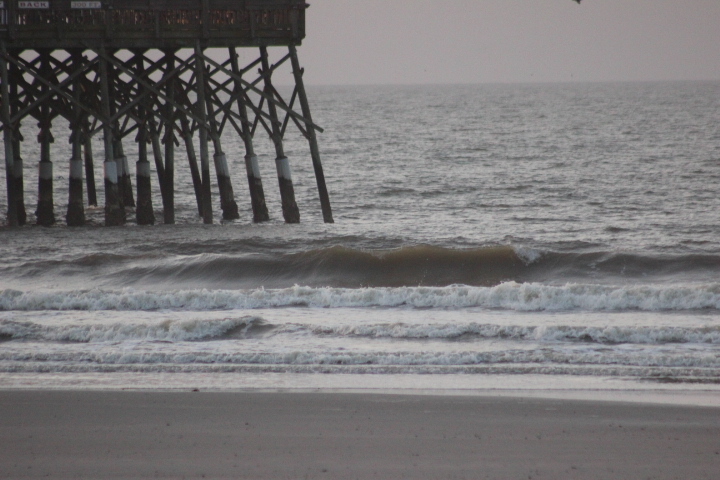 Surf at the Pier is Knee high with slight drift to the south. 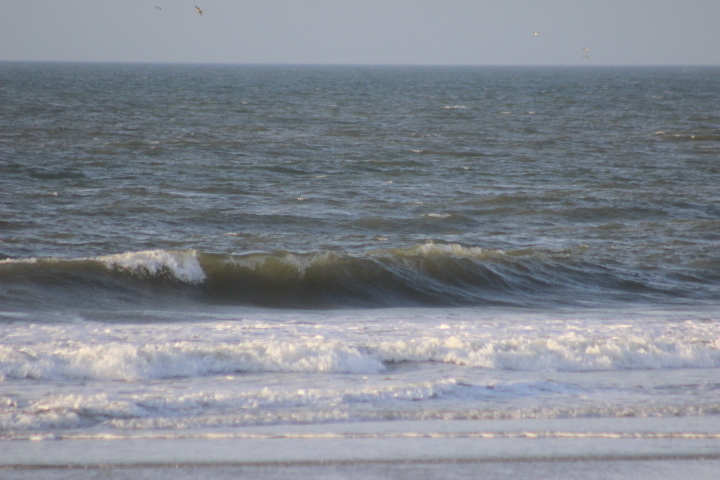 Winds are very light to moderate north-east putting some texture to the surf. We expect increasing east winds today at 15mph+ this afternoon, and we’ll have choppy, drifty conditions by late afternoon. 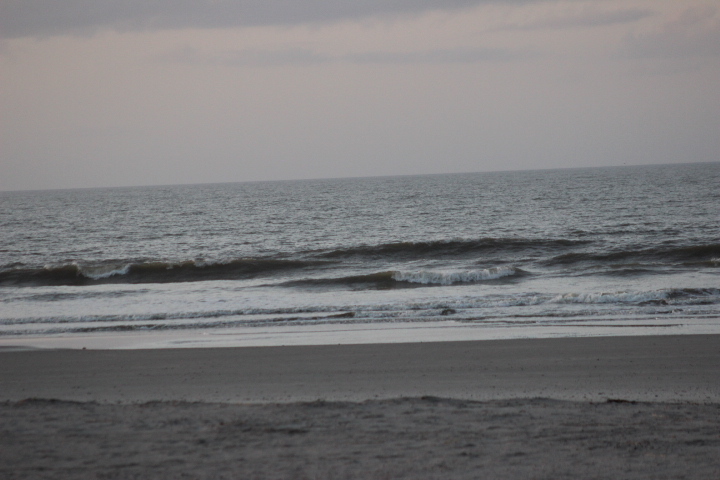 Tide is coming in, and high tide will be at 1 p.m. Low tide will be at 7:09 p.m. 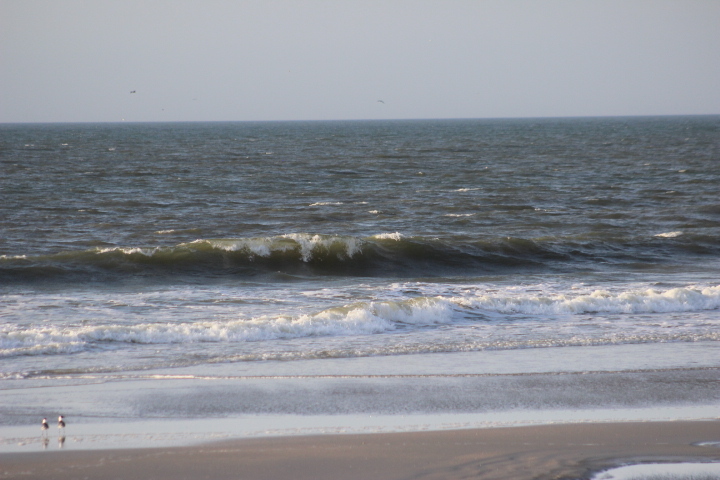 The Edisto buoy is reading 4.3 ft at 7 seconds in a short period ENE wind-swell. 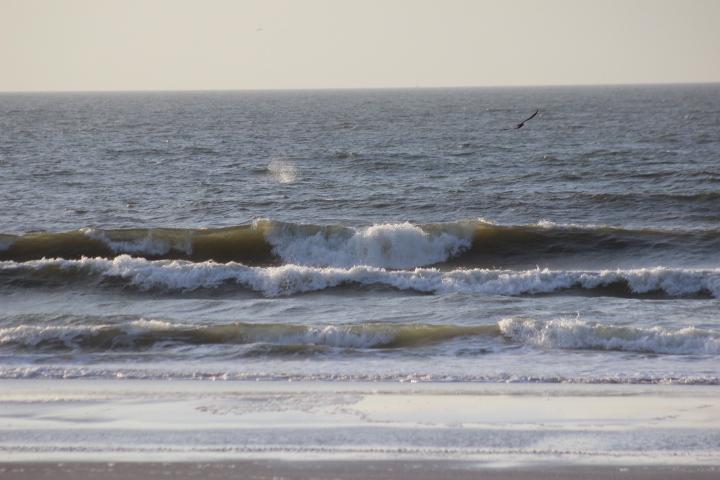 Surf looks down today only running knee high and weak. Friday calls for increasing south wind swell surf in the chest high range with on-shore winds but fun conditions and less drift. 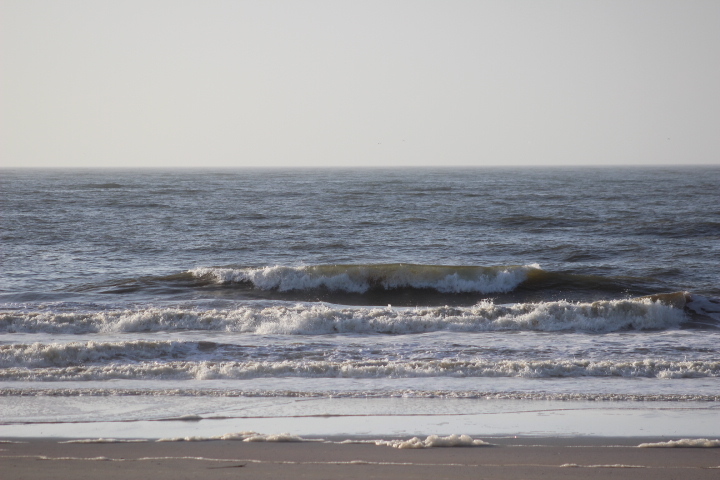 This south swell should continue into Saturday with cleaner conditions. 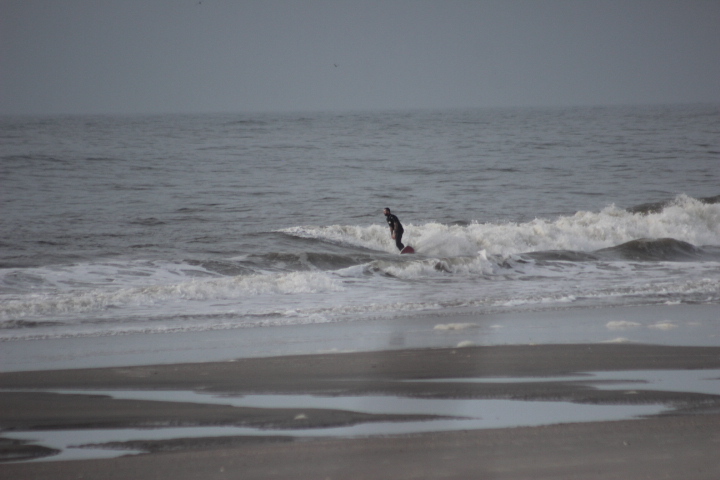 South swell fades Sunday but still plenty rideable on the high volume stick. Low pressure affects our marine area again on Monday of next week, so there is plenty of south wind swell in the forecast Friday through Monday. Your NOAA Marine Weather Forecast for our marine area calls for: High pressure will be the primary weather feature along theSoutheast coast into Sunday. A strong cold front will advance through the region Sunday night followed by high pressure through the middle of next week. Another cold front will cross the area by late next week. It’s 65* with clouds this morning. Look for a high of 76* today with sun behind clouds.